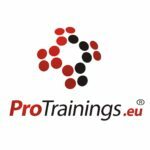 We have just launched the new ProTrainings.uk website where you will find full details of all our courses and more information on what we offer and how you can apply it to your needs. We have added many different sections showing how classroom, blended and online training can meet your needs. You will also find a new course selection section which makes it easier to select the course you want and to find out more information on that course. If you need any help please contact by phoning 01206 805359. emailing support@protrainings.uk or using the chat on any of our sites.